Developed by MTP to support learning on accounting principles this board game format business simulation shows the business environment in spatial terms. The impact of decisions on the three financial statements is shown in an engaging and interactive way. Each individual competes for business by submitting tenders in different markets. After a number of transactions, all group members are required to complete their financial statements. The simulation runs over two or three periods. The facilitators guide and support those who need assistance and a debriefing sessions reinforces learning and brings out key accounting principles. The simulation runs over one or two days and can be even more effective over a longer period with instruction sessions inbetween. 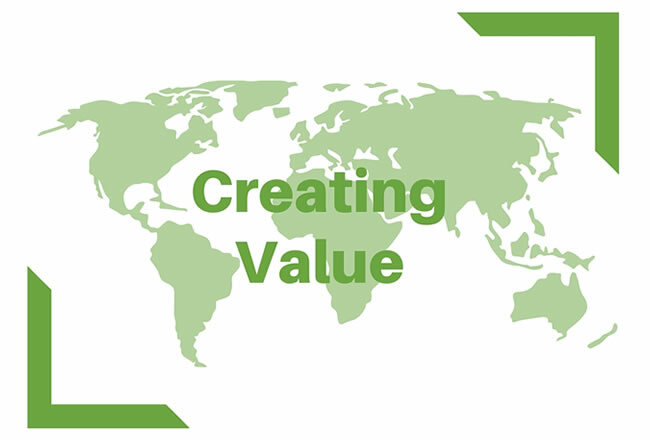 Why is ‘Creating Value’ effective? It makes learning about financial matters highly enjoyable. The competitive nature of the simulation appeals to high calibre managers and engages their attention throughout. No participant can opt out of learning, as each person is responsible for running their own company and is required to ensure that their accounts are produced accurately. The structure of the simulation allows opportunities for the facilitators to coach participants as they compete in the simulation.